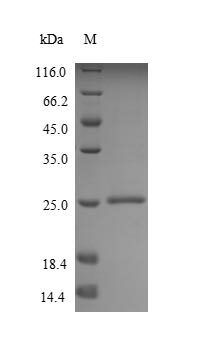 Cusa Pfu DNA Polymerase is a fast and high fidelity DNA polymerase, This enzyme is made by the fusion of a special protein based on common Pfu DNA polymerase through the protein molecular modification technology. 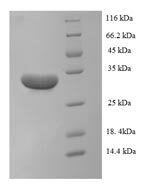 It guarantees the high fidelity and at the same time the extending speed is upgraded to 3-4kb/min in PCR process,which is 4-8 times that of ordinary Pfu DNA polymerase. 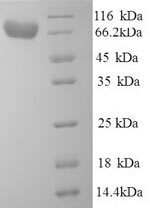 It does not exhibit nucleotidyl terminal transferase activity so its amplification products can be directly used for cloning in blunt-ended vectors. 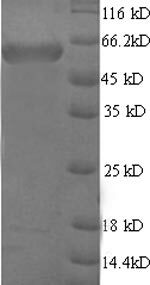 Intended Use 1 DNA amplification by Polyermerase Chain Reaction (PCR). 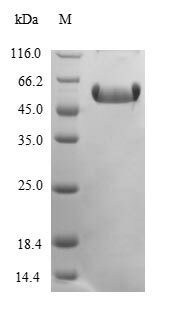 2 High-fidelity DNA amplification, cloning and expression 3 DNA sequencing. 4 Site directed mutagenesis 5 Gene synthesis. Quality Control The purity of enzyme is above 97%, evaluated by SDS-PAGE. It’s validated to be no exogenous nucleic acid enzymatic activity. There is no residual host cell DNA by PCR detection. Functionally tested in amplification of a single-copy gene from human genomic DNA. No obvious enzyme activity changes observed after storing at room temperature for one week.